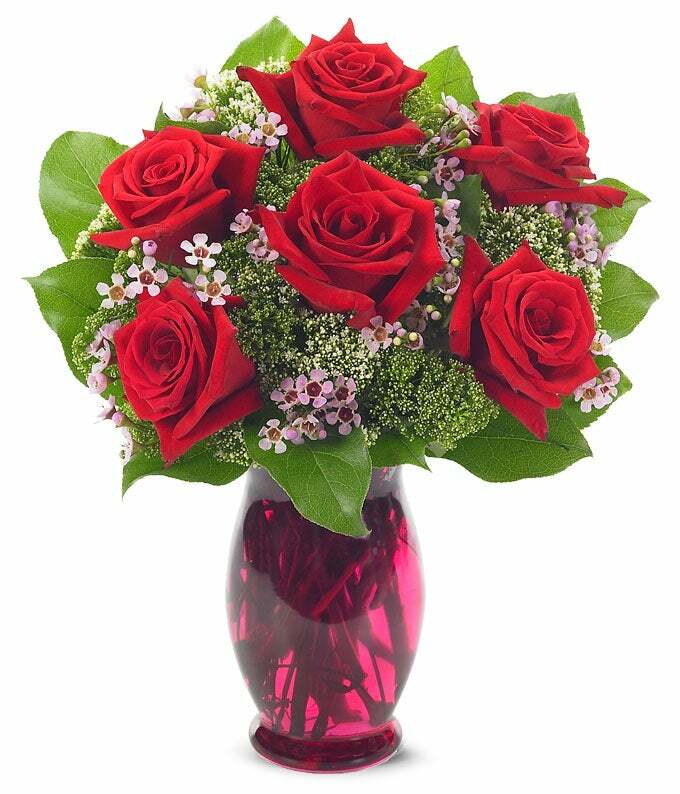 Show off your romantic side to your significant other with the Rose Garden Bouquet. A local florist arranges your choice of four, six, or eight rich red roses, which are complimented by lush greens and pink waxflower. Situated in a pink flute vase, this bouquet is guaranteed to bring a smile to your recipient's face. Measures 12"H by 9"L.